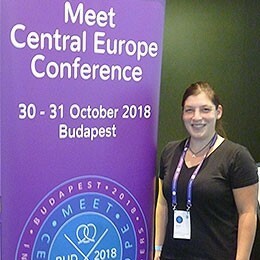 The very first Meet Central Europe conference took place on 30 and 31 October this year in Budapest. 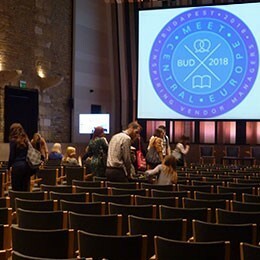 The national language industry associations of Hungary, the Czech Republic, Slovakia and Austria established this annual international event as a replacement for individual conferences in each country. It’s an ideal networking platform for both freelance translators and translation companies offering language services in Central and Eastern European languages. This year’s central topic of Vendor Management also aimed to provide attendees with a foundation for successful collaboration with external partners. At Peschel Communications GmbH, we rely on trusted partners whose work meets our own quality standards, particularly when it comes to large multilingual projects or unusual language combinations. The initial challenge for project managers is finding these partners and building an efficient working relationship with them built on trust. In this light, the conference provided the perfect opportunity for us to expand our knowledge and to network with the other participants. The Budapest Music Center (BMC), a striking building not far from the Liberty Bridge, served as the venue of the conference, where we were welcomed the evening before the conference started. 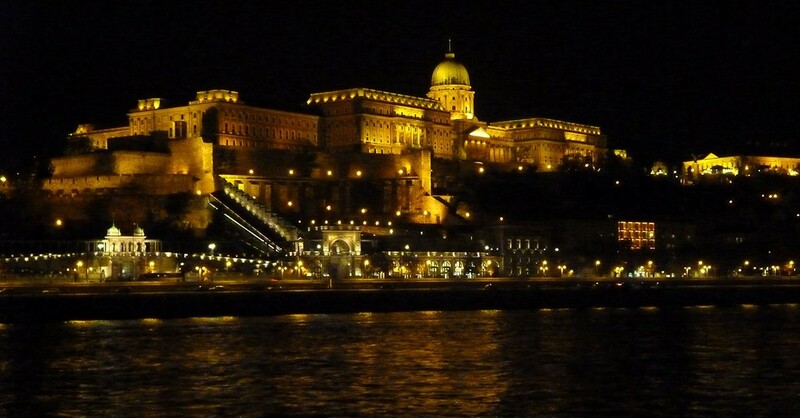 We kicked off the proceedings with a boat trip along the river Danube — a pleasant surprise organised by one of the event’s partners for all of the attendees and the perfect chance for us to get to know each other against the impressive backdrop of the city lights. The programme was published in the form of an app, which not only saved paper but allowed every attendee to create their own personalised daily schedule. We also used the app to stay in touch and share photos and job offers, make dinner plans, arrange carpools to the airport and more. The official part of the programme began Tuesday morning with the Master Classes, which promised a closer look at the central topic of Vendor Management. The speakers explained what responsibilities this role involves and how best to meet them. As project managers, we know that customers are interested in the end result above all else. Our job is to identify and meet customers’ expectations — and sometimes even to exceed them. To do this, we need to provide our partners with a clear definition of the standards that we in turn expect from them. On both days of the conference, the speakers used case studies to exemplify their individual approaches as vendor managers or project managers. Where can I find suitable partners for my project? How can I make a job appealing even on a tight budget? What are the best conditions to help develop a long-term working relationship? The conference also explored new technical tools such as machine translation (MT) and post-editing (PE). As many as four individual events were taking place at any one time, allowing the attendees to spread out according to their interests. All in all, a great deal of emphasis was placed on sharing our personal experiences with one another. And the organisers and speakers were always available to patiently answer any questions we had. As with so many things, the key to success is clear communication. Just as there is no single “correct” translation, the perfect approach is not set in stone. The important thing is to ensure the project workflow is as straightforward and convenient as possible for everyone involved, drawing on all available resources to achieve a shared goal. Or, as the Hungarians put it: “Minden jó, ha a vége jó.” But to get there, a collaborative approach is needed — and sharing our experiences with one another is invaluable. Conferences like Meet Central Europe are the ideal platform for this. I came away with plenty of food for thought, as well as a number of potential new partners and even new friends. Here’s to a reunion next year in Prague!